WHEN DR. NAN STEVENS’ son penned a story on the life cycle of salmon while in Grade 4, few could’ve predicted it would be published, let alone become a starting point for a post-secondary research project. 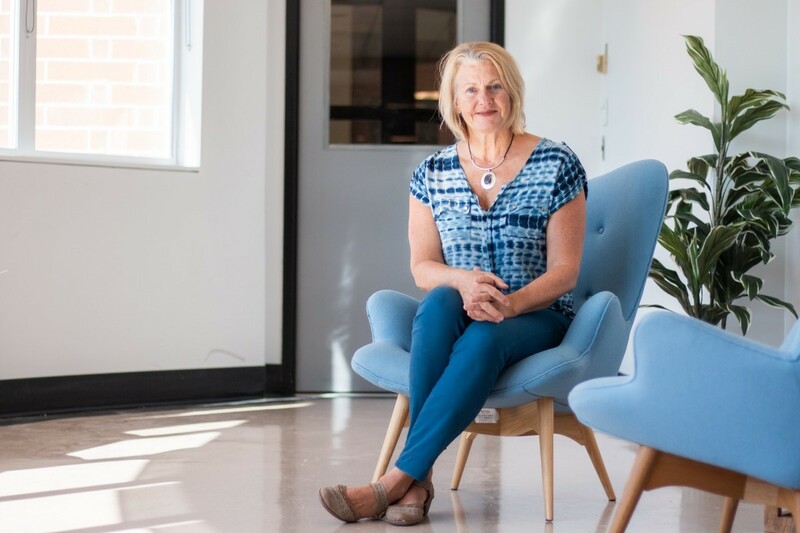 It is all happening and thanks to that spark of inspiration from her son, Stevens and a team of researchers are examining how to include more Indigenous, environmental and sustainable information in schools. The group started with Big Little Science Centre’s Stream to Sea program, which facilitates the growth of salmon from egg to fry in classrooms and eventually sees them released into the wild. They added Indigenous and environmental content to enrich the well-established Fisheries and Oceans Canada curriculum. “I’m not a science educator, but I saw a gap in how this curriculum could meet the needs of students and teachers in elementary schools, especially with Indigenizing curriculum. This is a significant objective for educators and teacher educators and the Stream to Sea program is a logical access point,” Stevens said. Stevens – of TRU’s School of Education – completed her PhD in 2017 and she’s hitting the ground running with this project due to a research grant provided by the TRU Sustainability Fund. She is excited and inspired to have this opportunity to boost Indigenous and environmental content in schools. “This material has always been important, but unfortunately hasn’t been a part of the agenda until now. The land and water are at risk. If we can instill an attitude of environmental and global consciousness in young people, the better off we all will be. We have a responsibility as educators to share this,” Stevens said. Last spring, Stevens and two TRU research assistants surveyed Stream to Sea teachers to determine the target areas for curriculum development. The three topics outlined by teachers were: Indigenization, sustainability and environmental stewardship. The team is relying on local Indigenous educators to share their knowledge of the role of salmon in storytelling, the environment and in history. Guest speakers, dances, artwork, storytelling and regional field trips will all fit together in this revised curriculum. Another key component of this project is the commissioning of a book on salmon, written and illustrated by Indigenous students, to accompany the curriculum package and the book written by Stevens’ son. The revised pilot curriculum will soon be tested in two classrooms in School District 73, one at Juniper Ridge elementary and the other at Arthur Hatton elementary. Another survey will be conducted when the pilot studies wrap up next spring. Using the feedback from teachers and students, the curriculum will be adjusted based on the responses. If teachers and students respond well to the updated place-based curriculum, the intent is to provide it free for local teachers through the Henry Grube Education Centre. Stevens also hopes the Stream to Sea program at the Big Little Science Centre will adopt it. Down the road, Stevens would like to see it in schools across BC, with material adjusted according to place, since each community differs when it comes to history, stories, dances and traditional knowledge. 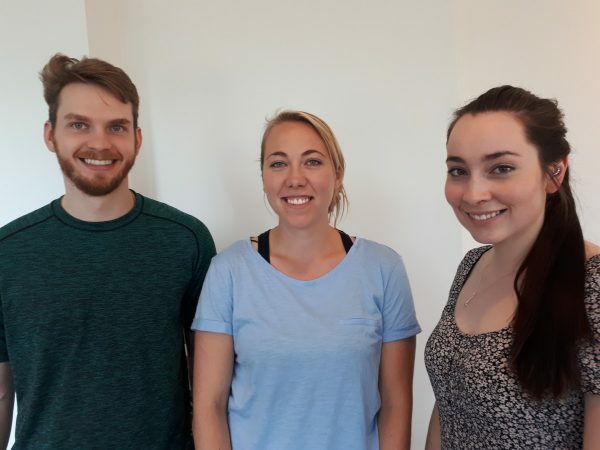 Research assistants Jon Koltun (STEM Bachelor of Education), Bobbi Vojtko (STEM Bachelor of Education), Janna Wale (Natural Resource Sciences, TRU Knowledge Maker). Absent is Sonya Rokosh. For now, Stevens is enjoying the process and the teamwork this project requires.